This is something I never tamper with, brides. There are authentic specialists that do wedding photography like Bambi Cantrell for that. I wish I could learn from them but I will have to accept the inevitable I am not good at wedding photography. This is just a random picture taken during a walk with my fellow photo bloggers. The place, Via Laietana. 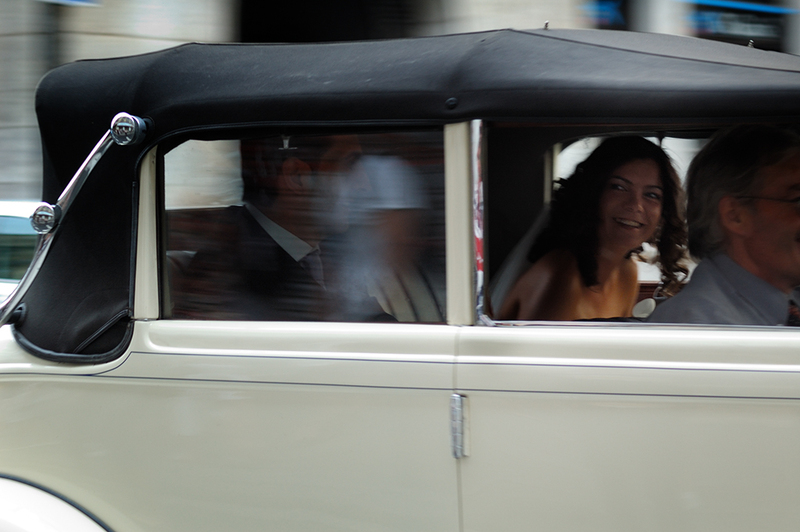 Who was getting married?, a lucky couple unknown to me and most of the passersby. Congratulations to the newlyweds! She was truly amazed at the many cameras pointing at her. To tell you the truth, I was there for the vintage car and ran away with more than I expected! It's a wonderful shot of a cute girl. I hope she knows how to find you photo bloggers who happened upon her special day. She'll love this if she finds it! Thanks Lydia. I really hope so.